The Question, Sunday 6/30/13: Can Dexter Keep Killing It in the Summer? The flagship Showtime drama Dexter quietly had a sensational season in fall 2012, growing double-digits year-to-year pretty much from wire to wire. But with its lead-out Homeland skyrocketing even faster, Showtime has elected to separate the two. Homeland now has the fall responsibility, while Dexter moves to the summer for the first time and has to contend with smaller viewing levels and a much more potent competing drama on HBO in True Blood. Can Dexter keep killing it in the summer? That's The Question for Sunday, June 30, 2013. This week, it's a look at networks as a whole, comparing their seasons using only the average of their original non-sports series. Unless you are really interested in Fox, most of this will be pretty boring, but I figured it was worth getting out there! Let's take a look at the 2012-13 season (the twelfth overall) of Family Guy on Fox. This is part two of a look-back on all the predictions made over the course of the 2012-13 season. I will save the planned third part, looking at the best and worst The Question lines, for the end of the summer and include the summer lines in that. (Alternate explanation: I ran out of time in my pre-vacation work-ahead. You decide!) This time, we'll look at my predictions on the posts detailing the First Two Weeks of new shows. Scheduling history: Archer aired its first four seasons on Thursday at 10/9c, with two exceptions: a special sneak preview in September 2009 before the show's official premiere, and a three episode run at 10:30 in fall 2011. It moved to Monday for season five but returned to Thursday in season six. See (who saw) how it all began: FX first previewed Archer about four months before the official premiere after It's Always Sunny In Philadelphia on 9/17/09, in an oddly promoted airing that didn't give away the name of the show (or really anything about it). That got 0.91 million viewers and a 0.5 demo and is not included in the season one average below. Then its official premiere on 1/14/10 about doubled that audience, scoring 1.82 million viewers and a 0.9. And a repeat of the preview at 10:30 had a 0.7. It dropped fast from there, to 0.7 in week two, 0.5 in week three, 0.4 in week four and 0.3 in week five! But after that it finally steadied, getting back to a 0.4 for most of the rest of the season and even perking up to a 0.6 for the season's penultimate episode. The best of times: In seasons two through four, not only was Archer growing every year, but it was growing faster every year. In season four, it finally became a legitimately strong program in 18-49, breaking through with its first ever 1.0 for the 1/17/13 premiere and hitting a 1.1 three times later in the season. The worst of times: After a seemingly ill-advised move to Monday in 2014, Archer finally sniffed at its season one ratings again, hitting a couple 0.4's in the second half of the season. It had a couple more 0.4's in the return to Thursday for season six, but the 0.3 in the series' fifth week remained a series low out of the entire FX run. It finally dipped into the 0.2's in its first FXX season in 2017. Then vs. now: Most of the truly legit comedies on broadcast don't peak right out of the gate, and FX has recognized that. Both of their biggest comedy hits Archer and It's Always Sunny have blossomed after several years of tiny ratings. These shows have always skewed extremely young, so there's probably been some value in them even at their lower levels. But now, FX has built a really strong property, and they don't want to let it go; therefore, it wasn't initially announced as one of the comedies bound for 18-34-centric FXX. If it were all about maximizing 18-34, Archer would certainly be FXX-bound. But clearly the mothership network wanted to keep one of the hottest draws in that demo for itself. However, as the franchise has softened a bit in the last couple seasons, FX finally did announce that Archer would head for FXX. That happened in 2017. The Question, Wednesday 6/26/13: Will Big Brother Get Bigger? Tonight CBS enters phase two of its turning on of the summer lights with its three-night spectacular Big Brother. Last season finally snapped Big Brother's improbable growth streak, though at least some of the blame probably belongs with the Summer Olympics derailing the show's early weeks. There's no such excuse this year, though it does get to deal with Fox's potent MasterChef in the Wednesday 8:00 hour. Will Big Brother get bigger? That's The Question for Wednesday, June 26, 2013. Let's take a look at the 2012-13 season (the sixth overall) of Parks and Recreation on NBC. My goal for the 2012-13 season was to get much more heavily into the prediction business. I think the last evolution of ratings analysis is comparing the numbers with the expectation, and I don't want to be afraid of becoming the guy that can generate the most expert expectations. So this week, I've got a couple posts looking back on the predictions. This is all probably not very good for my credibility, but I'm hoping that holding myself to these numbers will both motivate me to improve as well as give me some pointers on how to improve. We'll start with all the many Best Case/Worst Case predictions generated over the course of the season. I tried to weed out burn-off numbers that would've deflated the averages, though I may not have gotten all of them. I'll start with some highlights and lowlights of the BC/WC seasons, and then I'll look at some of the larger statistics. Scheduling history: Better Off Ted aired on Wednesday alongside NBC import Scrubs for its first run of episodes in spring 2009. ABC then renewed the show but unloaded the rest of the season one order during the summer of 2009, most of it after low-rated summer offering The Superstars. It returned to the pairing with Scrubs at the end of fall 2009, this time on Tuesday. The Question, Monday 6/24/13: Will Ratings Go Over Or Under... the Dome? Of all the broadcast networks' scripted offerings this summer, it's Stephen King-inspired Under the Dome that's gotten the most hype. If any of them work, it should be this one. CBS' promotion has been crazy by summer series standards, including a teaser during the Super Bowl in early February! Tonight it premieres after an hour of The Big Bang Theory, TV's best repeater, and it doesn't seem that unreasonable to expect it to grow on that audience. Let's take a look at the 2012-13 season (the eighth overall) of How I Met Your Mother on CBS. In the spring I did season-by-season recaps of the three old years added to the fold: 2003-04, 2004-05 and 2005-06. I liked those so much that I've decided to do them for every single year of the decade across which A18-49+ era is available. Last week started with 2012-13, and today we loop back to 2006-07. The Question, Sunday 6/23/13: Will the Devious Maids Outfox a Broadcast Drama Premiere? 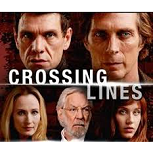 Two new dramas premiere tonight, an NBC co-production called Crossing Lines and a high-profile busted broadcast pilot Devious Maids on Lifetime. It's not a good sign for Lines that it's shoved off to Sunday relatively on its own, but I still think the Donald Sutherland-led cast and a Got Talent repeat lead-in get it to premiere better than last year's Saving Hope. Devious Maids, from Desperate Housewives' Marc Cherry, seems on-brand for Lifetime and has some hype, so I think it'll do better than its upper-0's Drop Dead Diva lead-in. Ultimately I see both going around 1.0, but I'll give Maids the slight edge since I think Lines has more huge bomb potential. The NBA Finals took over TV one last time with another 25% game-to-game bump for Game 7, and it posted the biggest viewership/demo for anything since the Academy Awards four months ago. Still, it did go 7% below the last Finals Game 7 in 2010 (an 11.4 for Celtics/Lakers). This game went 55% ahead of last Thursday's Game 4. Most damaged by that additional competition were the CBS repeats, all down double digits from last week, and USA's combo of Burn Notice (0.9) and Graceland (0.7). And FX had an almost invisible two-episode return from comedy Wilfred (0.3/0.3). That was about even with the low-rated last couple episodes of last season, but it was down nearly half from last season's average and miles behind the Anger Management-inflated year-ago premiere (1.2). Last time we looked at the top ten new shows of the last ten years. Today we're going to the other end of the spectrum, looking at the ten lowest-rated big-four new shows to eke out a second season. There are a bunch of criteria I'm applying to try to make this as apples-to-apples as possible. The most important is there are no Friday shows, since many Friday shows would make this list but were hardly "reaches." But I'll say more about the rules (and the Friday shows that would make the list) at the bottom. Scheduling history: Season one of The Voice aired mostly on Tuesday, with a couple Wednesday results shows at the end of the season. Since then, it's mostly moved into the regular season and been a Monday/Tuesday fixture. The Tuesday results show has gone back and forth between 8:00 and 9:00 a bunch of times, and it returned to 8:00 starting in winter/spring 2014 to lead into new scripted series. See (who saw) how it all began: NBC rushed its new singing competition The Voice on the air right at the end of the 2010-11 regular season, looking to get the jump on Fox's similar upcoming The X Factor. 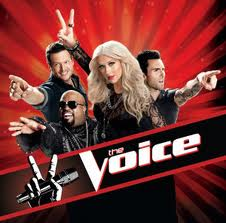 And The Voice drew considerable interest right out of the gate, premiering to 11.78 million viewers and a 5.1 demo rating on 4/26/11. Its second week of auditions actually spiked to a 5.7 demo, but it dropped from there to a fairly consistent mid-4's level for the rest of the season, with its Wednesday results shows dipping into the 3's. The best of times: After the success of season one, NBC was determined to make The Voice a regular season fixture. And like CBS with Survivor, they had some big help: a post-Super Bowl airing. Season two premiered after the big game with a whooping 16.3 demo, and it turned that audience into a massive 6.7 for its regular slot premiere the next day. The audience bailed rather quickly in subsequent weeks, but the early boost meant it was the show's biggest season on the main night in raw numbers. The worst of times: Most seasons of The Voice have dropped pretty significantly over the course of the season, and that effect has become more pronounced in the show's later seasons. The spring 2016 season brought the biggest as low as a 1.5 demo on a main night in spring 2017 and 1.2 on a results night on 5/1/18. Then vs. now: The Voice has been nothing short of a game-changer for NBC as a network. Its double season in 2012-13 was pretty much the only big reason why the network became somewhat competitive again. And like other reality staples of the past, it's helped the network create a scripted supporting cast as well, boosting shows like The Blacklist and Chicago Fire. It's had a tendency to keep raising questions about its long-term viability because it drops so much in the second half of the season, but it also keeps answering those questions by premiering very well. Fall 2015 was the show's strongest season in A18-49+ to date, holding much better in the second half than most, but the spring 2016 season had the worst overall trends of any Voice season. Overall, the show seems to be sticking pretty close to the rate of league average decline, which is perfectly fine for something of this size (but a worse trend than many of the other reality staples). Unless it can start on an upward trajectory again, the ultimate story seems to be that The Voice's assist to NBC was a miniature version of what Idol did for Fox. But given where NBC was a few years ago, that's not at all insignificant. The Stanley Cup Finals returned to broadcast at a tick behind Game 1's rating. It continued the series' blistering year-to-year growth pace, though an apples-to-apples comp is not available since last year's game 4 was on cable. Let's take a look at the 2012-13 season (the tenth overall) of Two and a Half Men on CBS. A classic overtime Game 6 of the NBA Finals took the series into the stratosphere, going 35% above Sunday's fifth game. It was actually over a point behind the last Game 6, when the Heat were knocked out two years ago, but it was well ahead of other recent sixth games. And this time, the result set up a Game 7 on Thursday. Double digits seem very possible. America's Got Talent was even in a move to 8:00, and sagging The Voice perked up and posted a pretty encouraging finale against the NBA. It was flat with the finale from last spring. Apparently it mattered that ABC Family newbie Twisted had previewed last week's episode months earlier, as it grew from 0.5 to 0.7 in week two. Lead-in Pretty Little Liars held tight at a strong 1.3. Let's take a look at the 2012-13 season (the twelfth overall) of American Idol on Fox. The weekend's top program was Game 2 of the Stanley Cup Finals over on NBCSN (3.96m, 1.5). It continued the Cup's torrid year-to-year growth pace, as the two NBCSN games more than doubled last year's NBCSN games (0.6 and 0.8 for Games 3 and 4). Zese clocks were back with the microscopically-viewed two-hour return of Zero Hour on Saturday, and ABC will add 666 Park Ave to the burn-off mix starting next Saturday. The Voice got a fairly typical 10%ish week-to-week bump for its performance finale. This result was a few ticks below the fall performance finale (4.2 on 12/17/12) but about in line with last spring's final ep (3.8 on 5/7/12). Week two of The Winner Is preview became the latest week two grower among the summer entries, up by a tick. Last week's second ep grower Mistresses, however, gave back the growth in week three and returned to its premiere level. The Stanley Cup Finals moved to cabler NBCSN for Games 2 and 3. Monday's Game 3 had 4.00m viewers and a 1.6 demo rating. Haven't seen a Game 2 demo yet but the viewership was almost identical (3.96m). TNT had a second straight night of distressing post-premiere drops as Major Crimes (0.7) and King & Maxwell (0.4) each shed a couple ticks, and MTV's Teen Wolf (0.7) also took a dive. Game 5 of the NBA Finals dropped a bit from Game 4. The last of the year-to-year comparisons saw this game go -17%, though it wasn't a decisive game this year. There were some weak results elsewhere, including the Miss USA competition, down 28% from last year's (which was not against the Finals). HBO brought back True Blood (2.4), which finally took a noticeable ratings dip (down nearly 20% from last year), while TNT's Falling Skies (1.0) took a dive-bomb in its second week back. Let's see where these two end up when the NBA is out of the way next week. Let's take a look at the 2012-13 season (the tenth overall) of NCIS on CBS. The A18-49+ theme posts combine all of the individual season info in one specific category, allowing us to line up the last eleven seasons of collective Live+SD ratings declines on a relatively apples-to-apples basis. In future seasons I will update these pages with the new season numbers and updated info on the longevity of the new shows. For people who followed the first iterations of these posts back in Spring 2012, there will be a lot of text copied over. The only completely "new" stuff is some tweaks to the sections discussing the new shows' longevity, plus a table involving the recently introduced Career A18-49+ at the end. Let's take a look at the 2012-13 season (the sixth overall) of The Big Bang Theory on CBS. The Question, Sunday 6/16/13: Can True Blood Hold Off the Bleeding Again? Nothing on TV these days has settled into a ratings groove quite like HBO's vampire drama True Blood. It's amazingly continued to hold onto virtually the same ratings over the last three seasons, even though the buzz and critical acclaim seem to have waned. Last season was as consistent as it gets on TV, with every single rating falling somewhere from 2.6 to 2.9. It's back for another bite tonight. Can True Blood hold off the bleeding again? That's The Question for Sunday, June 16, 2013. Game 4 of the NBA Finals was the best of all worlds for ABC; the rating itself took a significant upswing, making it the first game of the series within single digits year-to-year. The result ensured the series is going at least six games (with Game 6 up against The Voice's finale on Tuesday). And it seemed to take a chunk out of almost every competing program, at least on broadcast. More resilient was USA's combo of Burn Notice (1.19) and Graceland (0.80), both of which were virtually even with last week. And TBS had a pretty decent return from sophomore sitcom Sullivan & Son (0.91), which actually outrated most of the spring episodes of Men at Work in the timeslot. Today, the top 10 scripted newbies of the last decade. It's quite an eclectic list; some went on to sustained success and are still big nearly a decade later, some flamed out quickly, and some... didn't even get renewed for season two?! Let's take a look at the 2012-13 season (the seventh overall) of Army Wives on Lifetime. Scheduling history: White Collar debuted back in the days when USA Network was still programming high-priority shows on Fridays. It led out of the final episodes of Monk on Friday, then took a one-month break before returning on Tuesday. It stayed on Tuesday through season four, consistently airing at 9:00 in the summer and 10:00 in the winter. The last two seasons marked a return to airing entirely in the broadcast regular season, on Thursday at 9/8c. One of the most crowded nights on broadcast got even moreso as ABC's Game 3 of the NBA Finals showed up on the night and posted similar ratings to the first two games despite the game being a massive blowout. That meant the smallest year-to-year deficit of the series to date, as this game was just -11% vs. 2012's Sunday Game 3. NBC's usually dominant talent shows were down a bit vs. the added competition. Suffice to say NBC is now all in for the Spurs to win the Finals in five games, as they surely have no interest in throwing next week's The Voice finale at an NBA Finals Game 6. On cable, ABC Family impressed with a strong return from Pretty Little Liars (1.3), which was actually two ticks above last summer's premiere (though a notch below last winter's premiere). PLL's new lead-out Twisted (0.5) struggled, but it's worth noting this episode has already aired (it was sneak previewed after PLL's winter finale on 3/19/13) so I'll reserve judgment for a week. Let's take a look at the 2012-13 season (the fifth and final overall) of Southland on TNT. NBC geared up for what looks to be a positive Stanley Cup Final with Game 5 of the Western Conference Finals, which actually did a few ticks better than the final round game on the year-ago night. The big loser of the weekend was the IndyCar Series' foray into primetime, which posted one of the worst ratings in ABC's history. NBC introduced its final new The Voice lead-out of the season, singing game show The Winner Is, which rated just a bit below recent Revolution episodes. It gets another try next week and then looks to fend for itself on Thursdays later in the summer. ABC's Mistresses began its effort to come back from last week's disappointing premiere by surprisingly growing a couple ticks in week two, to a level ABC could potentially live with... if it stays here. Game 2 of the NBA Finals was up a tick from game 1 and down by a similar amount vs. last year's corresponding game (-18%). CBS' Tony Awards continued the recent hot streak for awards shows, growing by 20% year-to-year (even if that just means 1.0 to 1.2). On cable, HBO's finale of Game of Thrones (2.9) tied a series high, and TNT had a very solid two-hour return from Falling Skies (1.5), which tied last year's premiere. Scheduling history: Cougar Town aired its first two seasons after fellow new sitcom Modern Family. In season three it was held for midseason and ended up in a Tuesday block paired with Last Man Standing. ABC then cancelled the show, but it found a second life on TBS, where it aired on Tuesday at 10:00 and was moved to 10:30 for the final season. Let's take a look at the 2012-13 season (the fifth and final overall) of The Secret Life of the American Teenager on ABC Family. Further fueling the "San Antonio Spurs are Nielsen kryptonite" narrative, game one of the NBA Finals disappointed, down 17% year-to-year. It was a return to about the same ratings level as for the Lakers' appearances in the late aughts. Despite a stronger ABC, all competing broadcast originals were within a tick week-to-week, and most were up. Undeterred by the NBA, cablers USA and TNT launched their summer Thursday lineups. USA's Burn Notice (1.2) was solid, matching last year's premiere, but newbie Graceland (0.8) didn't show much on premiere night. TNT nearly equaled the Graceland demo with new unscripted offering The Hero (0.7). Today, the top 10 drama seasons of the last decade. Five different shows make the cut, and two shows put three seasons apiece on the list! Let's take a look at the 2012-13 season (the ninth and final overall) of CSI: NY on CBS. Almost everything was close to even on the second Wednesday of the summer. CBS' The American Baking Competition actually picked up a tenth from last week's premiere. Let's take a look at the 2012-13 season (the ninth and final overall) of The Office on NBC. NBC brought back the summer's biggest reality franchise America's Got Talent at a solid level but down by 16% from last year's mid-May premiere. Though they've been roundly criticized for premiering The Voice so late into the spring, one fringe benefit of that move was getting the chance to use it as a launch-pad for what had been a sagging AGT late last summer. It seems to have worked decently enough, at least for now. With NBC averaging a 3.0+ in every hour, competing originals on the other networks all took a multiple-tick hit, from So You Think You Can Dance to Extreme Weight Loss and Brooklyn DA. Scheduling history: Though it was a spin-off of Family Guy, The Cleveland Show began its run airing after Fox's other animated anchor The Simpsons. Its only prolonged run after Family Guy came in the second half of season two. By season three, it had clearly dropped on Fox's priority list. While it aired about a third of the last couple seasons in special 8:30/9:30 stints, most of those seasons' eps aired in the low-viewed 7:00 hour. On Friday, Primetime: What Would You Do? returned to the sked for the first time in over seven months and was a little below its early fall level. Cable comfortably produced the top program on Saturday (NBA Eastern Conference Finals Game 6, 3.3) and Sunday (the penultimate Game of Thrones, 2.8). The second Thursday of the summer saw lots of shows even to a little down. The only significant week-to-week dropper was week two of Fox's Does Someone Have To Go, down three ticks and now a pretty clear failure. The Question, Tuesday 6/4/13: Has America Still Got Ratings? Tonight brings the premiere of what has long been broadcast TV's strongest summer show, America's Got Talent. Though the show looked solid enough in the first half of the season, it went into a slump in the weeks leading into its Olympics hiatus and never really recovered on the other side. But leading out of The Voice figures to give the show its best chance possible to bounce back out of the gate. Has America still Got ratings? That's The Question for Tuesday, June 4, 2013. The post-Memorial Day bounce-back didn't happen, at least to anywhere near the same extent as last year. The Voice and the season finale of Revolution both ended up gaining just a tick or so week-to-week. But ABC was even more disappointing, as The Bachelorette actually dropped a couple ticks and Mistresses became just another of the blah low-1 premieres that have filled the early summer on broadcast. In an interesting scheduling experiment, Fox imported an original episode of FX's Anger Management, which actually slightly outrated its repeat New Girl lead-in. A bunch of cable notables after the jump! Let's take a look at the 2012-13 season (the fifth and final overall) of 90210 on the CW. The Question, Monday 6/3/13: Will Bachelorette Viewers Get Into Bed With Mistresses? Tonight, ABC launches a new drama in the 10:00 hour for the second time in three Mondays. This time it's the soap Mistresses, which will follow what seems like it should be a good fit in The Bachelorette. I'm counting on The Bachelorette bouncing back a bit from its soft Memorial Day premiere. And if Motive could get a 1.3 when ABC wasn't even telling people about the episode, heavily-promoted Mistresses may do at least as well. I've found the promos pretty unappealing, but maybe it's not my kind of show. Let's take a look at the 2012-13 season (the seventh and final overall) of Rules of Engagement on CBS. A few weeks ago I introduced what I called "Career A18-49+," an attempt to take the historically-adjusted A18-49+ stat, usually used to label one season, and apply it to full series runs. The formula is simple: Career A18-49+ is the sum of all the season A18-49+ numbers. The next step is to create a frame of reference. So here are the labels used to categorize these shows. Initially I tried to create tiers of the same size, but it became clear that there need to be more tiers at the bottom end of the range since there are more shows there.